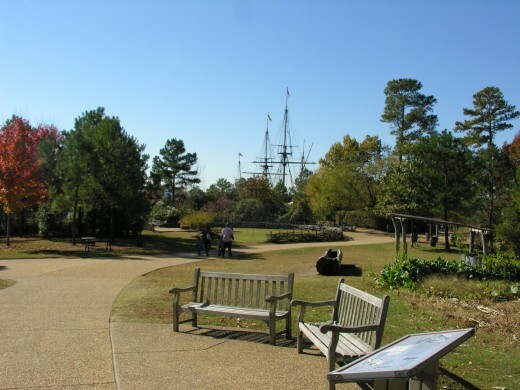 Williamsburg, Virginia is about an hour drive from Richmond and a three-hour drive from Washington, DC. 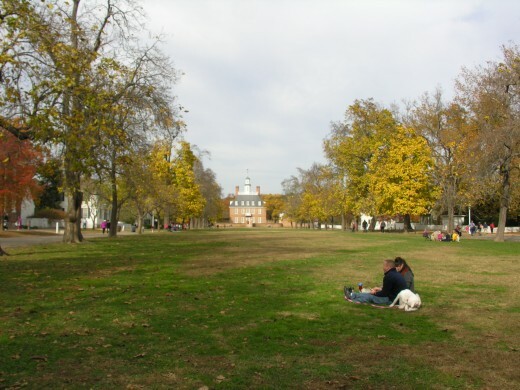 [i] Williamsburg is the home of “Colonial Williamsburg” and there are many other nearby places to visit. There are many hotels and prices vary from bargain basement to high priced. There are many restaurants to match all culinary tastes. It is a good place for a day trip, if you’re close enough, or a long stay. Williamsburg was the site of the G-7 Summit in 1983. 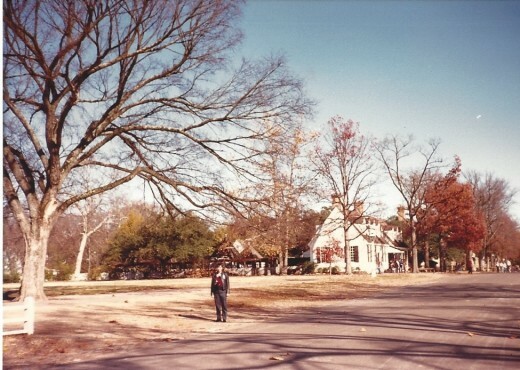 I’ve visited Williamsburg many times starting from the 1987. 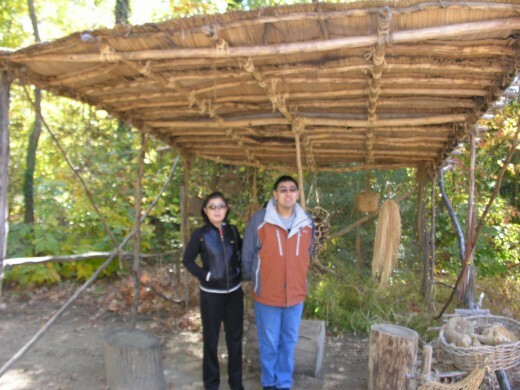 This article contains travelogue, history, and personal experience information. [i] The actual driving time depends on traffic. 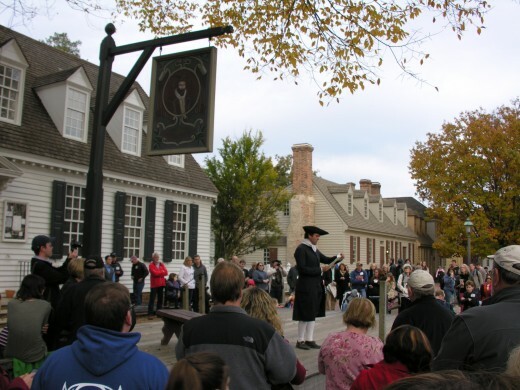 Colonial Williamsburg is an area that is restored to look as it did in colonial times. As of 2019 the ticket price for people 13 and older is $25.99, children 6-12 is $13, and children under six are free. 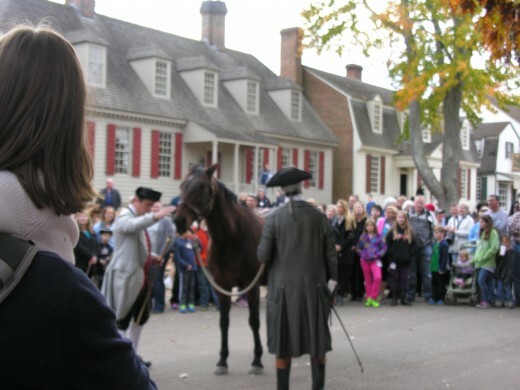 [i] It is best to check out the Colonial Williamsburg website for sales and special offers. [ii] In the ticket center there is an auditorium that shows the 1957 movie “Williamsburg: The Story of a Patriot”. The Move stars Jack Lord and is the longest continuous running film[iii]. 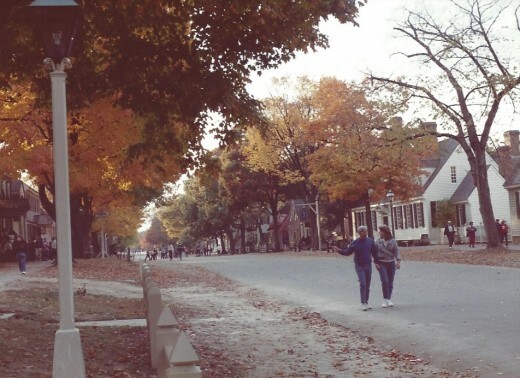 This movie was filmed in Colonial Williamsburg so visitors will soon be walking the streets they see in the movie. Walking is an option another is to take a shuttle bus. 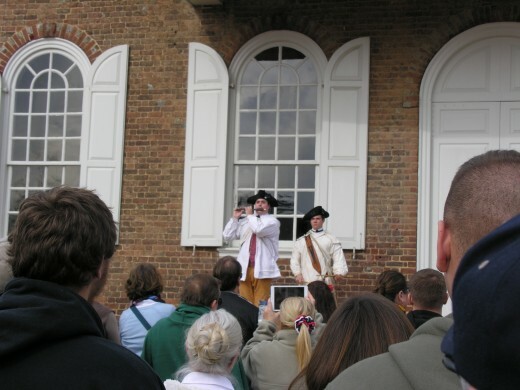 There are reenactors performing throughout Colonial Williamsburg. One day the performers reenact the time before the Revolutionary War and the next day reenact the time near the end of the Revolutionary War. 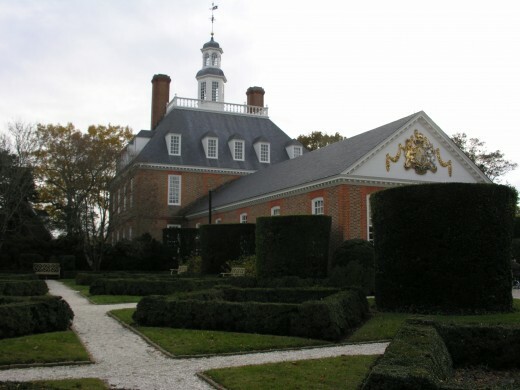 The Governor’s Palace requires an admission ticket. It is worth the upgrade to see this Palace. 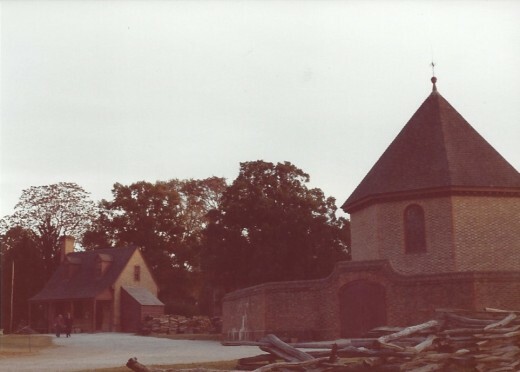 As with almost all of the buildings in Colonial Williamsburg the Governor’s Palace is a reconstruction. The original building burned down on December 22, 1781[iv]. 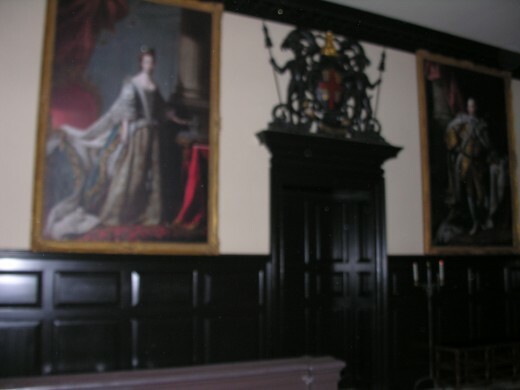 The Entrance Hall’s walls are lined with weapons. These weapons served the dual purpose of being a handy arsenal and showing the governor’s importance to palace visitors. 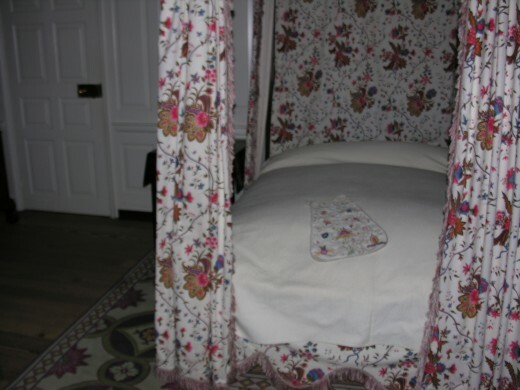 An incident highlighted on palace tours involved Governor John Murray, fourth earl of Dunmore. 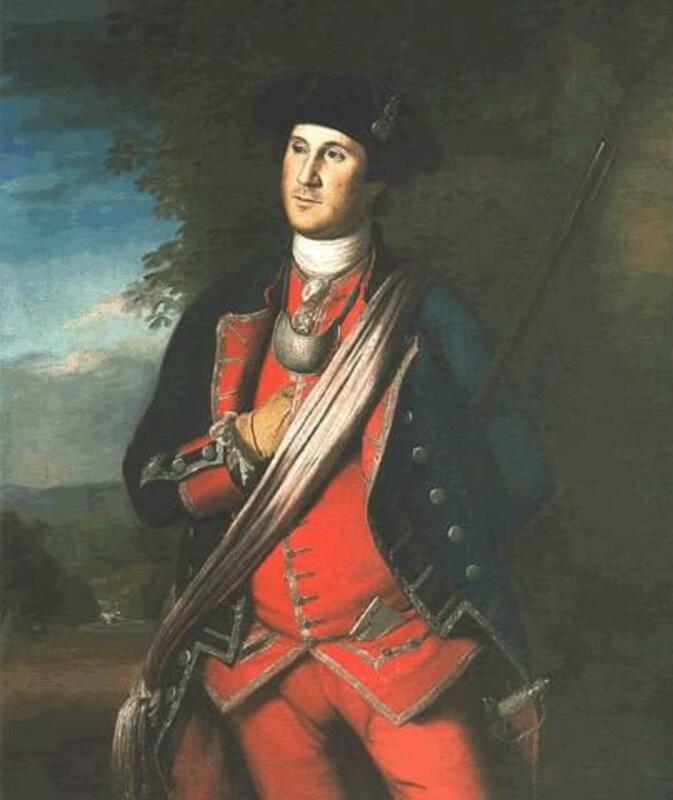 In April 1775 with revolution in the air Governor Dunmore had the gunpowder removed from Williamsburg public magazine. This caused a mob of citizens to come to the palace. 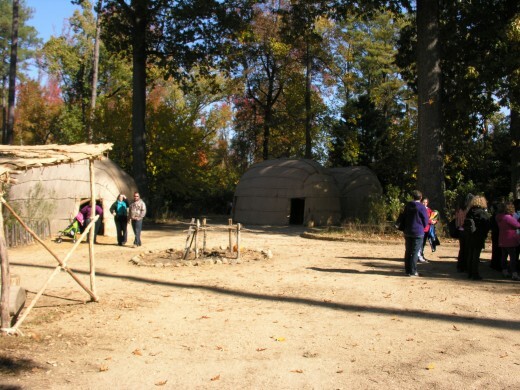 Governor Dunmore told the citizens he did this to keep the gunpowder safe because he feared a Native American uprising. This pacified the citizens. 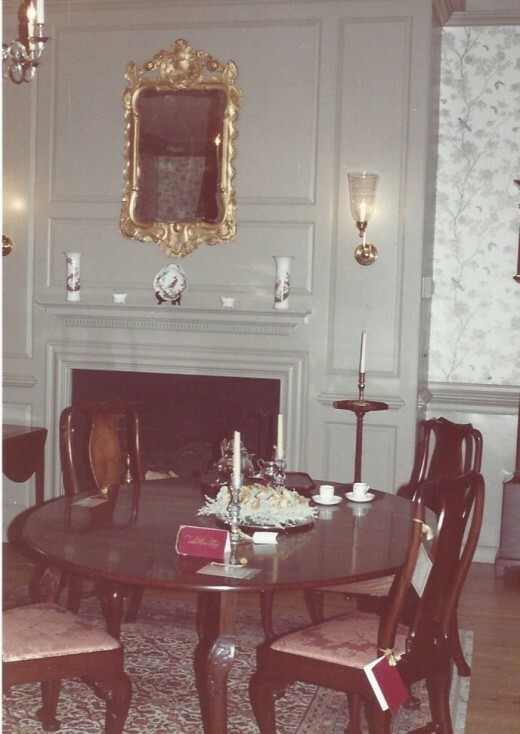 The relations between the Governor and the citizens deteriorated and one night in June he fled the palace with his family to Hampton Roads. On November 7 he declared martial law and offered to free any runaway slaves that supported the loyalists. The Loyalists lost the Battle of Great Bridge on December 9. 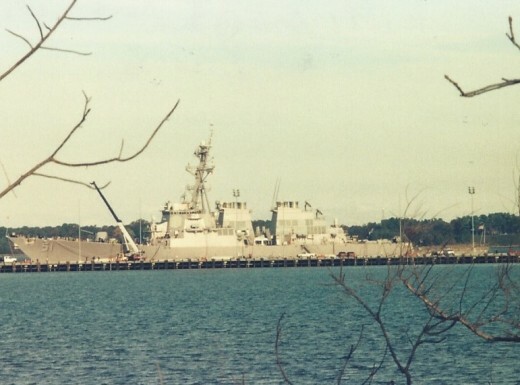 The British fleet shelled Norfolk in 1776 and the Governor left for Great Britain that year. [v] His successor was Patrick Henry. [vi] The palace grounds are extensive and includes a labyrinth. 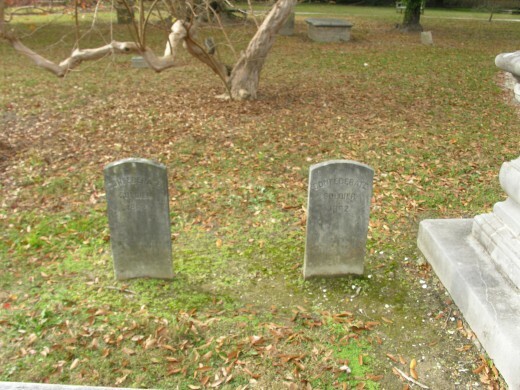 The historic buildings include the Bruton Parish Church and its cemetery. The church is still an active place of worship. There are shops that show how items were made in the 18th century. There is an example of a colonial garden. The blacksmith shop is in the Public Armory. The Public Armory has reproductions of 18th century weapons. 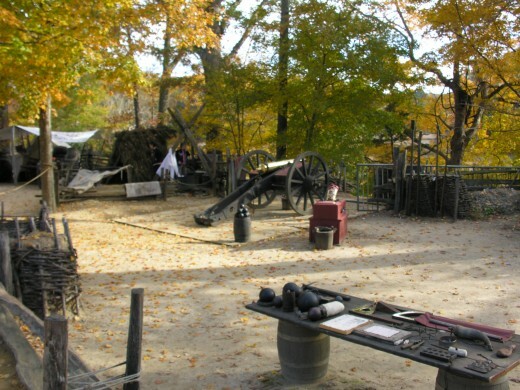 These include pikes, muskets, mortars, and cannons. There is a courthouse, complete with stocks outside. 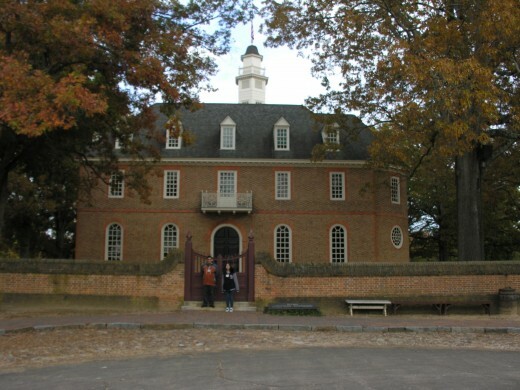 Williamsburg was the capital of Virginia until Richmond became the capitol in 1780. 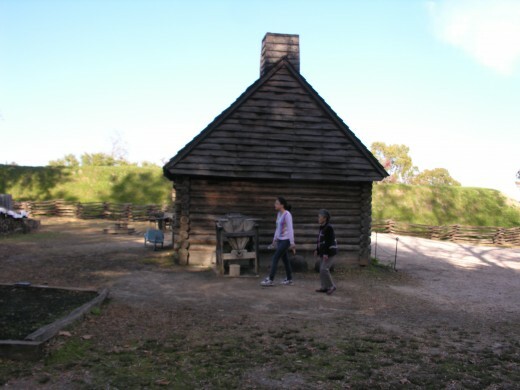 The Capitol building in Williamsburg is a reconstruction of the Capitol Building that burned down in 1832. On this site Patrick Henry delivered his “Caesar-Brutus” speech against the Stamp Act on May 29, 1765. [vii] In this building people not only see how the Capital looked during colonial times but also get a more in-depth view of the issues of the day. The separation of church and state wasn’t as clear cut as it is often portrayed. Before the separation the state would support the church and the church would deal with charity work. Taxation wasn’t just a matter of how much taxes but how the government levied taxes. 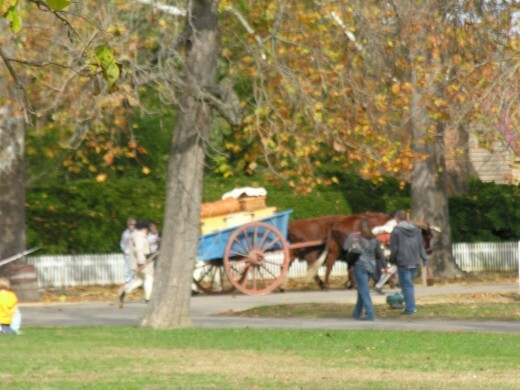 An example would be putting a tax on coach wheels but not cart wheels. The logic being a coach was a luxury item for the rich but a cart was what people needed to carry out their business. A Parliament on the other side of the Atlantic might not be aware of which taxes would be an undue burden on the people. 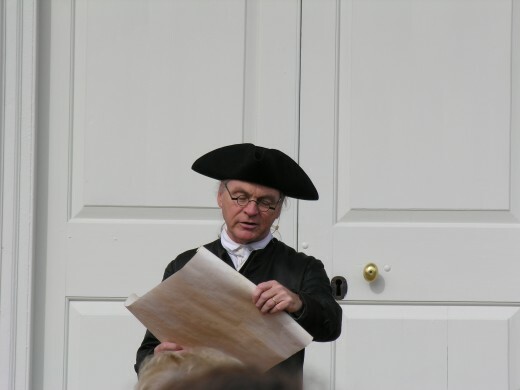 [i] Williamsburg web site, https://www.colonialwilliamsburg.com/tickets/single-day-ticket, last accessed 2/22/19. 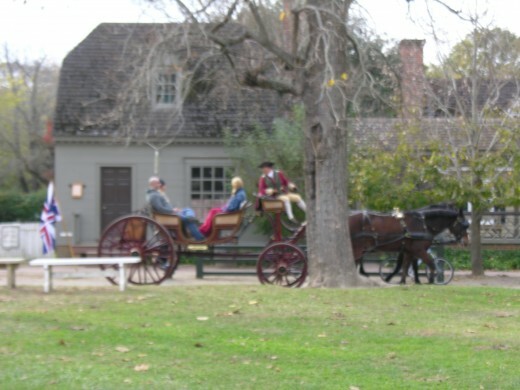 [ii] Williamsburg web site, https://www.colonialwilliamsburg.com/plan/special-offers?from=navplanb, last accessed 2/27/19. [iii] Jack Lord played Detective Steve McGarrett in the long running TV series Hawaii Five-O. 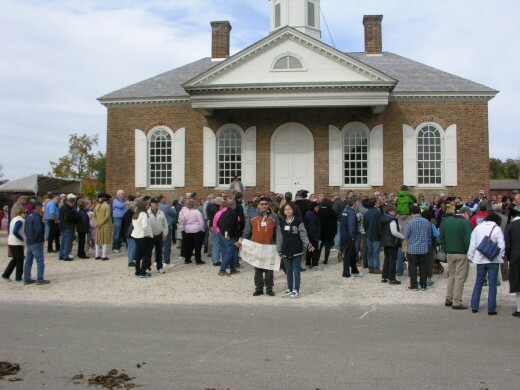 [iv] Williamsburg web site, https://www.history.org/Almanack/places/hb/hbpal.cfm, last accessed 3/3/19. [v] Encyclopedia Virginia, John Murray, fourth earl of Dunmore (ca. 1730-1809), contributed by William C. Lowe and the Dictionary of Virginia Biography, https://www.encyclopediavirginia.org/Dunmore_John_Murray_fourth_earl_of_c_1730-1809, last accessed 3/3/19. 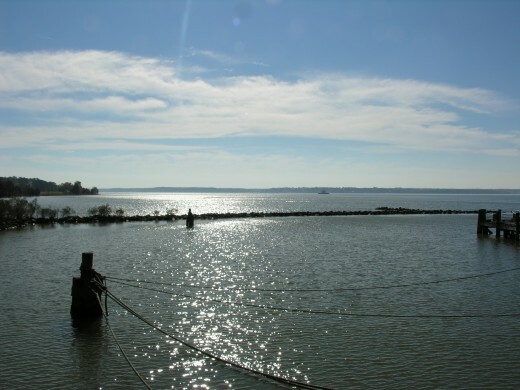 [vi] Williamsburg web site, https://www.history.org/Almanack/places/hb/hbpal.cfm, last accessed 3/3/19. 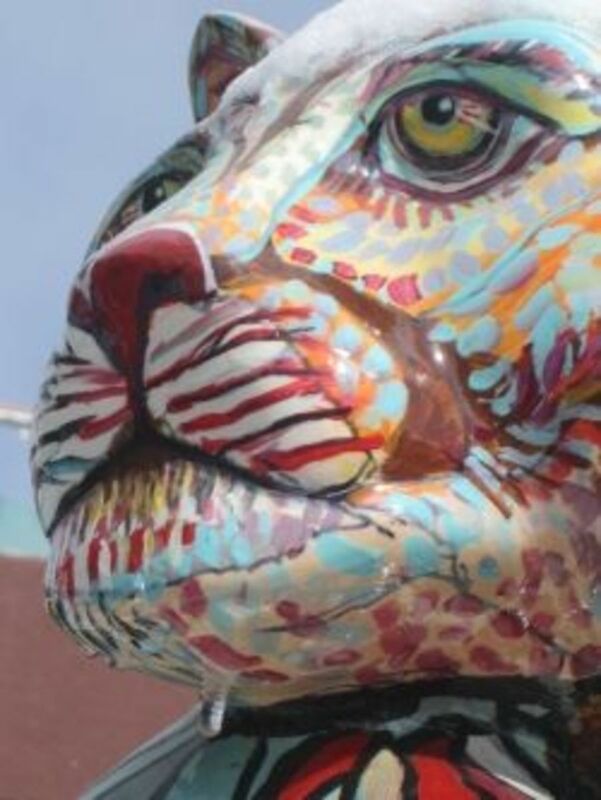 [vii] History,org, https://www.history.org/Almanack/places/hb/hbcap.cfm, last accessed 3/3/19. 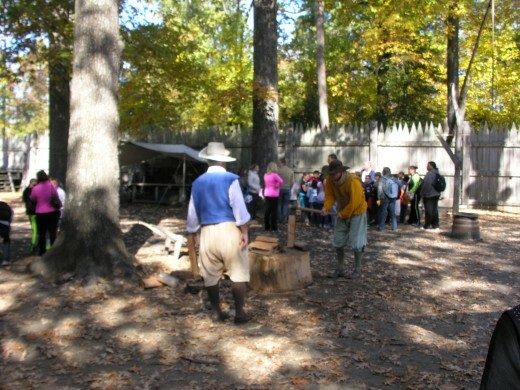 Throughout the outdoor exhibits there are staff members in period dress who give demonstrations and information about how people lived in the area during the early 17th century. 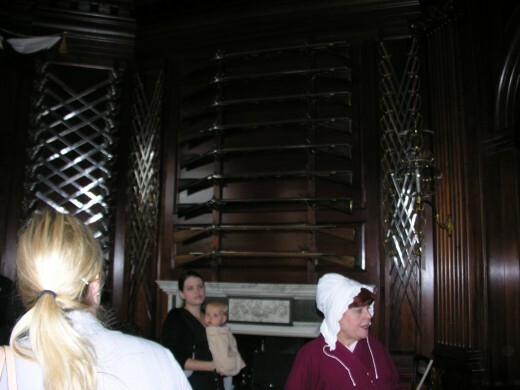 The ship replicas give visitors a feel for how crowed the ships were during the transatlantic voyage. 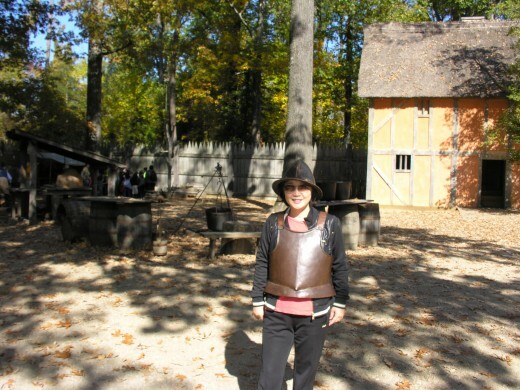 In the Jamestown fort there is child sized armor for a dress-up snap shot of the children. 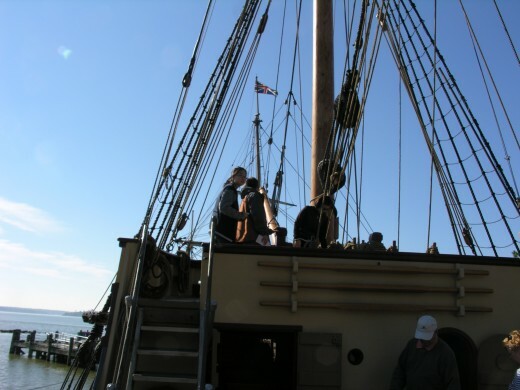 [i] History is Fun, https://www.historyisfun.org/jamestown-settlement/jamestown-ships/, last accessed 3/9/19. 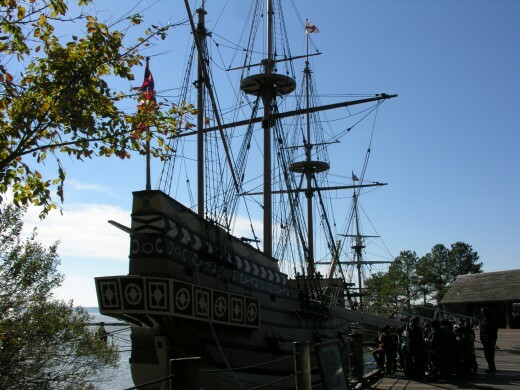 Tickets to The Jamestown Settlement and the American Revolution Museum at Yorktown are sold as a combined ticket. Visitors should plan whether they want to visit both places on the same day or on separate days. 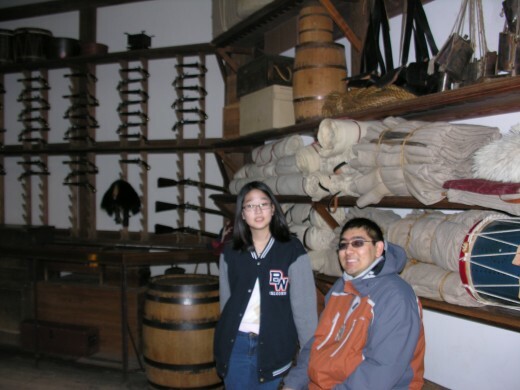 If visiting both places on the same day it’s important to leave Jamestown early enough so there is ample time to visit the American Revolution Museum. The Museum closes at 5 p.m. for most of the year. It stays open until 6 from June 15 through August 15. 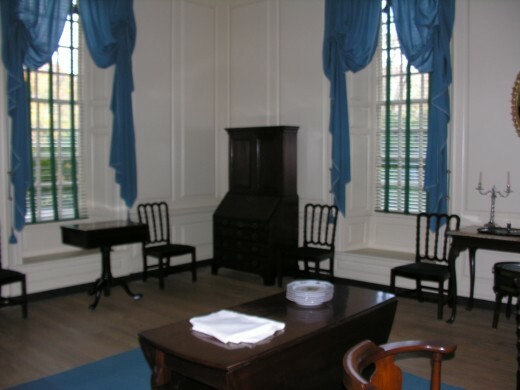 The Museum itself is extensive and covers the American Revolution from many aspects. There is an auditorium that shows a film set at Yorktown. That Battle of Yorktown was a siege. The French fleet prevented the Royal Navy from aiding the British troops. The American artillery bombarded the besieged British. British General Cornwallis surrendered his troops on October 19, 1781. Inside the museum there is a room with children’s sized Colonial Era clothing. 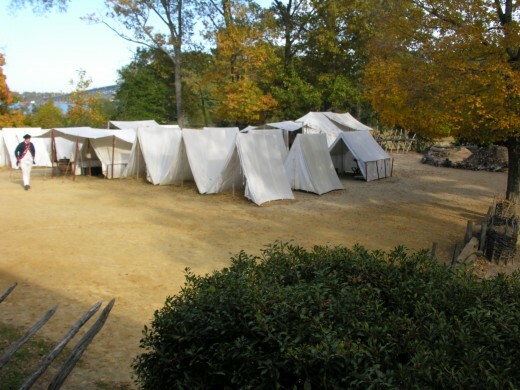 Outside there is a mockup of a Continental Army encampment. They have weapons demonstrations. For artillery dry fire[i] demonstrations they get people from the audience. The dry fire demonstration is usually followed by a live fire demonstration. The staff tell about other aspects of life as a Continental soldier such as discipline and medicine. Explaining about Colonial Era treatment of battle wounds can be difficult for some people to hear. 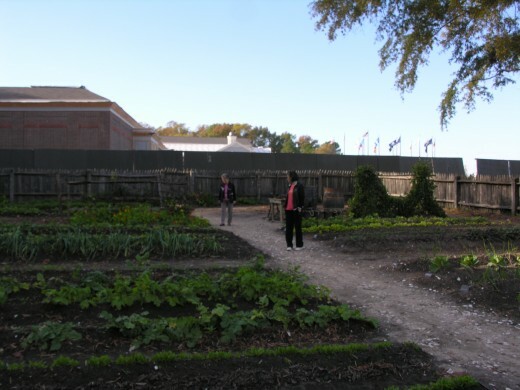 On the grounds there is a mockup of a Colonial Era farm. At the time the big money maker for Virginia farms was tobacco. Among the things the staff explains is how the tobacco was stored and sent to market. Among the things explained are the folk remedies used by people in the 18th century. [i] A “dry fire” is when a weapon isn’t loaded or fired but the participants got through the necessary steps to load and fire a weapon. [ii] National Park Service, https://www.nps.gov/york/learn/historyculture/index.htm, last accessed, 3/10/19. [i] Great Wolf, https://www.greatwolf.com/williamsburg/waterpark-attractions/explore-by-age, last accessed 3/11/19. 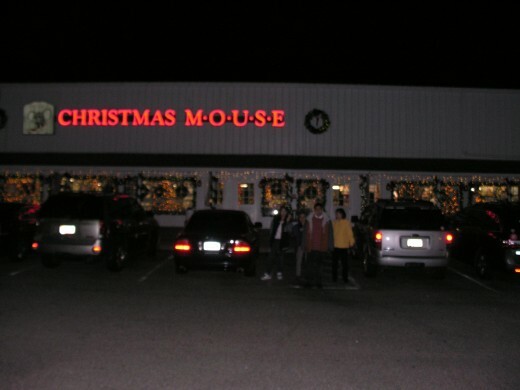 There is a Christmas Mouse in Williamsburg. It is a two-floor wooden building. 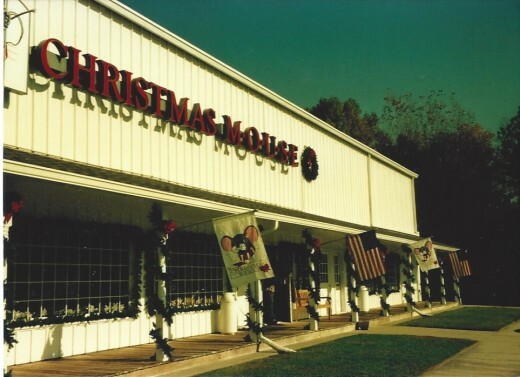 The Christmas Mouse has all manner of Christmas decorations. This store will put customers in the holiday mood. The store also has some Halloween decorations. 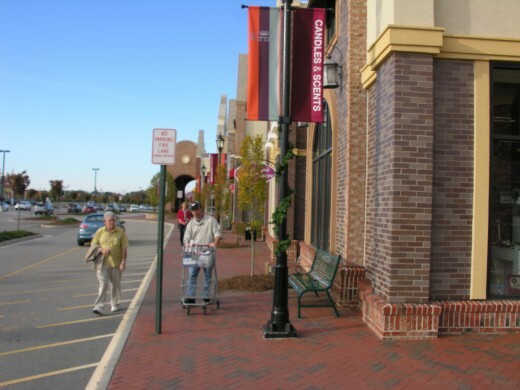 This is one of the many stores, restaurants, and hotels that line Richmond and Bypass roads in Williamsburg. Last century we would go to different restaurants. 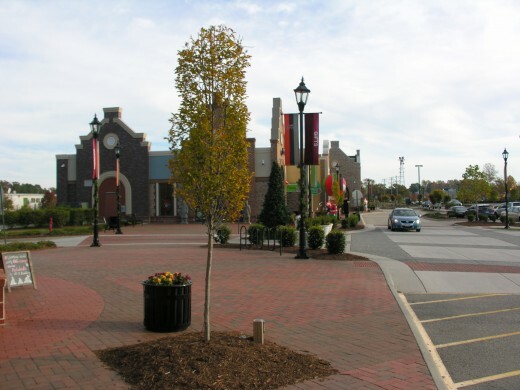 The restaurant assortment on the Richmond and Bypass roads includes fast food, popular chain, and independent restaurants. Recently we found it most practical to take advantage of the hotel’s free breakfast. 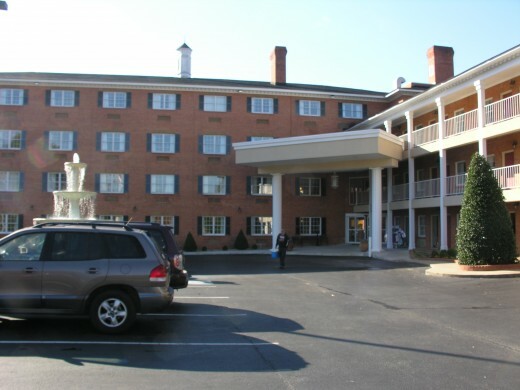 We settled on a 2 ½ star hotel on the bypass road. Other meals we have at a Golden Corral Buffet & Grill on the Bypass Road. It seems more economical and practical for a family that has different culinary tastes. For people who are dieting or don’t have large appetites it might not be practical. It isn’t the place for a quiet intimate dinner. [i] Williamsburg Pottery, http://williamsburgpottery.com/, last accessed 2/27/19. It was shocking today to see what happened to Notre Dame. 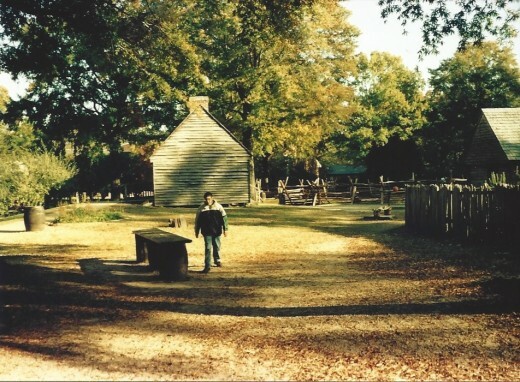 I grew up in a house built in the 1750s (complete with wash houses and stables) so your description of the Colonial village and Jamestown brought back some fond childhood memories. Thank you for reading and commenting. Yes, I enjoy going there. There are other points of interest on the drive down there. 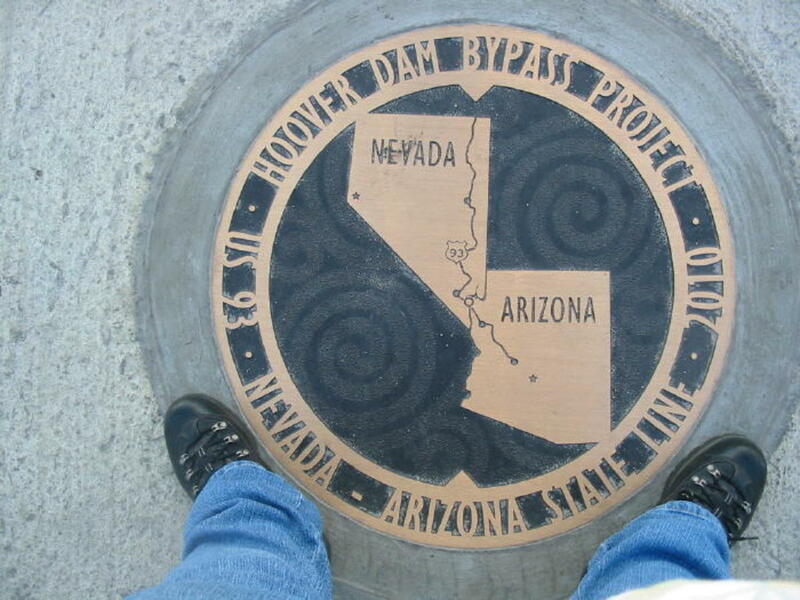 Thanks for showing this historic part of our country with your photos and descriptions. It is an area that I would enjoy visiting someday. It sounds as though one could spend quite some time in that area for a destination type of vacation. Yes, it is a good vacation spot for any season. Thanks for sharing some of your trip. 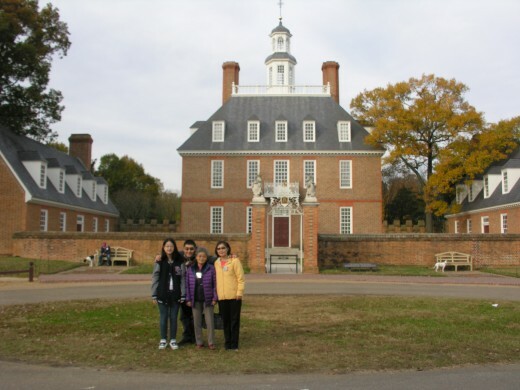 Friends spent Christmas at Williamsburg this past year and raved about how much they enjoyed the holidays there. Thank you for the further input. The best I've been able to do since 1987 has been an overnight and a couple of weekends. It's definitely a so much to do but so little time situation. Living near here I’ve been many times over the years and really enjoy going, especially during the fall and Christmas season. You’ve managed to comprehensively cover the area. 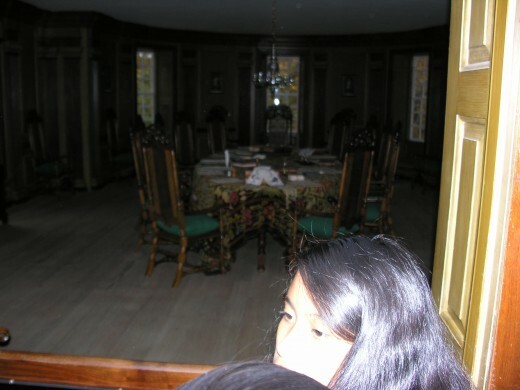 We also very much enjoy touring the plantation homes on Rt. 5 not far away. Some of them offer bed and breakfasts or tea, costumed tours that are amazing! Thank you both for reading and commenting. 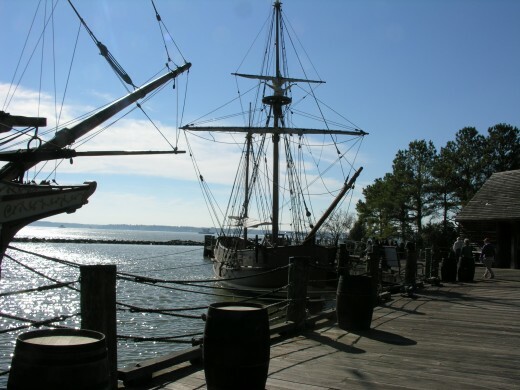 Pamela Oglesby - Glad you have good memories from your Jamestown visit. They have added a lot to Jamestown and Yorktown in recent years. St. Augustine would seem to make a great Hub. 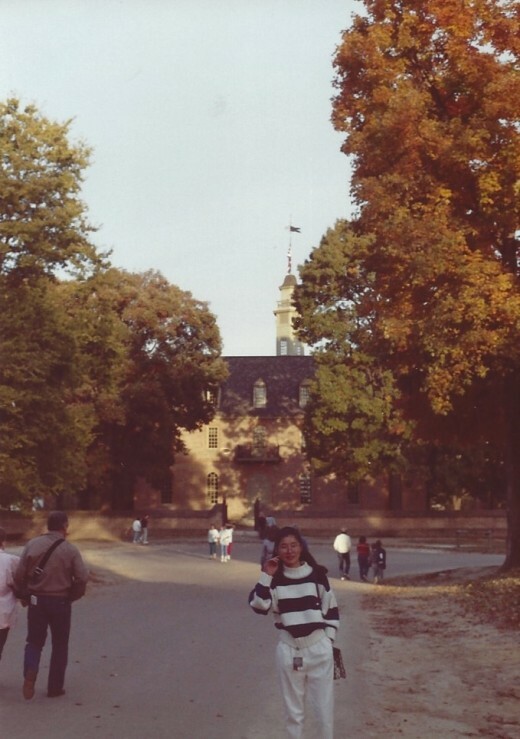 Tracy Lynn Conway - Thank you for sharing how you feel about living in Williamsburg. Robert, I feel obliged to comment because I now live in Williamsburg and love it. 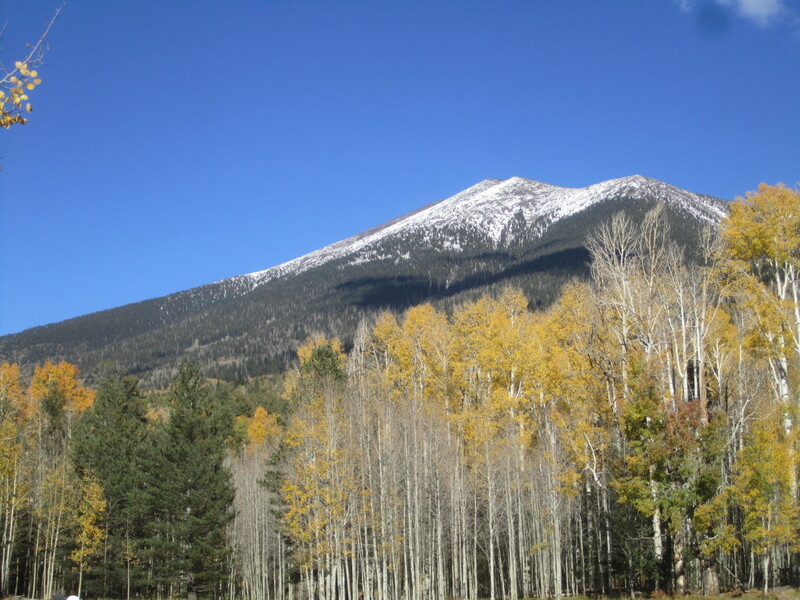 Thanks for touching on some of the great things to do and sharing your own photos. I live less than an hour away from St. Augustine and have been there several times. I love to visit any historical sights. 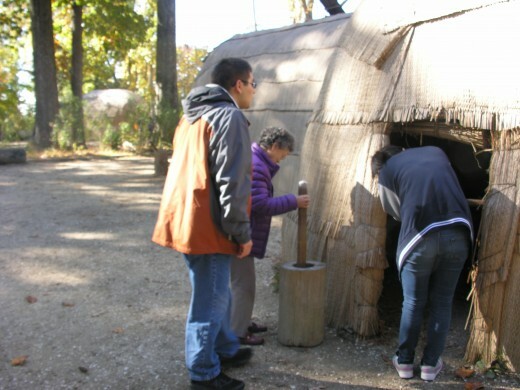 I have good memories from my visit to Jamestown. 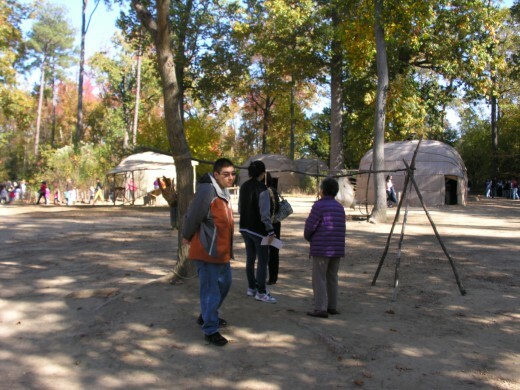 Thank you for reading and commenting, Jamestown is the first permanent English settlement in North America. St. Augustine, is the first European settlement in North America. Have you ever been there? Williamsburg would make for a wonderful trip. 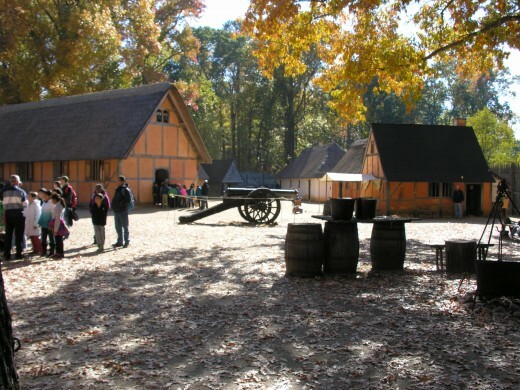 I visited there and Jamestown many years ago and would love to go back there. I do genealogy researchh and love history so this is the perfect rip. Thanks for all your wonderful information. Edna, considering the distance you might want to plan to visit a week, unless you're going to do a mid-Atlantic seaboard tour. Louise Powles, you might find the American take on the 17th & 18th events in the Colonies interesting. I know I'd find your perspective on it very interesting. Williamsburg looks a lovely place to visit and live. I would love to visit here some day. Great article. Hope we can visit there! Very informative. Great visuals!